12,01 € 12.01 tax incl. A super novelty mid-2010 for POLINI .... 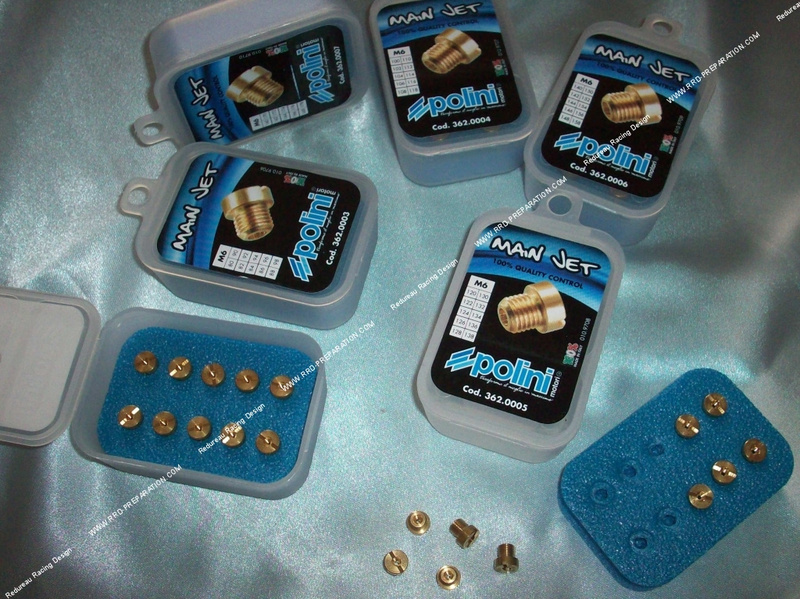 Here are the boxes of jet POLINI MOTORI for your carburettors DELLORTO or type DELLORTO. These sprinklers are of very high quality! All after manufacture rechecked to the hundredth at POLINI before packing and engraved certified POLINI MOTORI. These sprinklers come back to you cheaper than the real DELLORTO and are nevertheless of a quality at the height! In the box, they change in size from 2 points to 2 points, all available every 2 points from 60 to 198 ... enough to satisfy the greatest number of you! The little box is really practical, good quality and very beautiful aesthetically. Mandatory for any good mechanic and passionate performer! These main jets are mounted on DELLORTO PHVA, PHBL, PHBH, PHBN, VHSH, VHST, ... And many other models!